An innovative machine is helping a council recycle unwanted paint which would normally go to waste. The new machine developed at North Lanarkshire Council in Scotland highlights how local authorities and their service partners can co-operate to boost recycling rates. Network Waste’s work with the Mears Group has led to Mears Scotland increasing its recycling rates on its North Lanarkshire contract, reducing its carbon footprint and making significant financial savings at its Motherwell waste operation. In the past year the amount of waste diverted from landfill by Mears employees has increased to an impressive 98 per cent. The Mears Group runs a £30 million repair and maintenance contract onbehalf of the council. The savings are illustrated in the way in which paint is recycled. Mears’ Supply Chain Manager Colin Erskine said: “We often have a large volume of paint left over from our maintenance work on council properties and from void property clearances. The bespoke paint recycling machine built by the Mears Group. 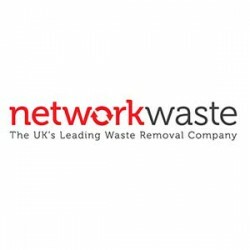 Network Waste, founded in 2002, offers a complete waste management service to its customers. This includes removing waste, skip and container hire, online waste management reporting and compliance with the law. Its UK-wide network of independent, waste management operators provides a high level of customer service at competitive prices. Network Waste is a member of the Chartered Institute of Waste Management and is a CIWM-accredited training centre.